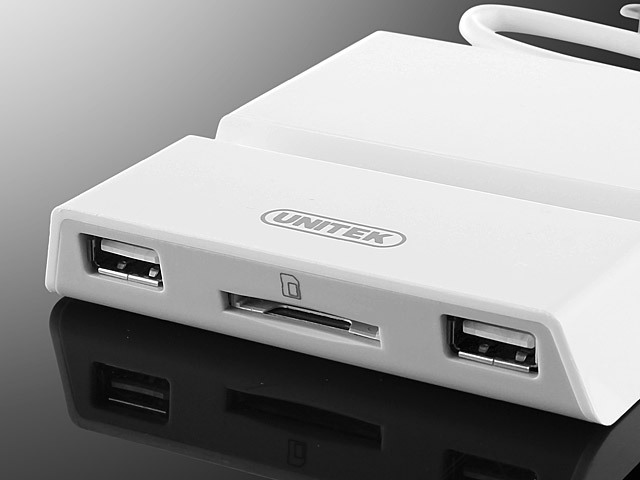 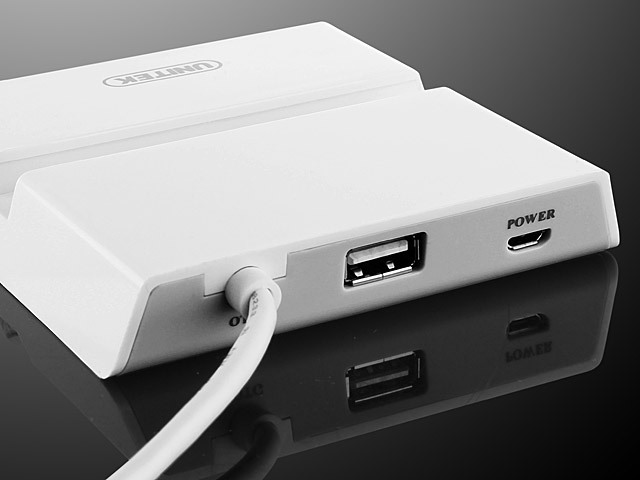 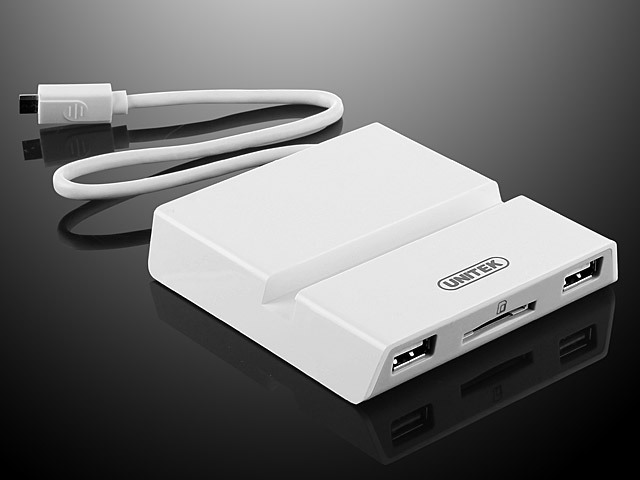 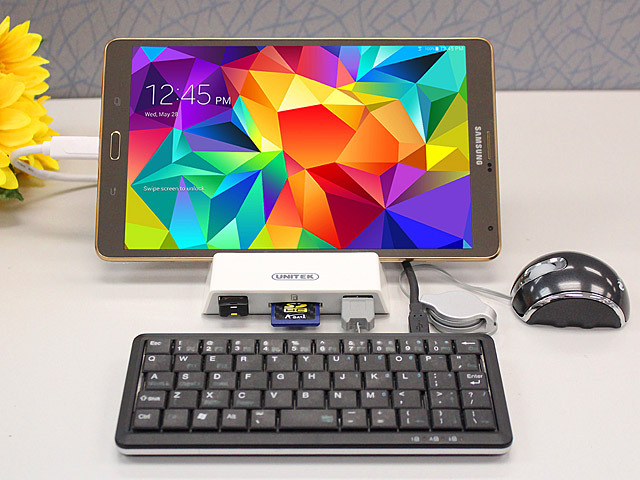 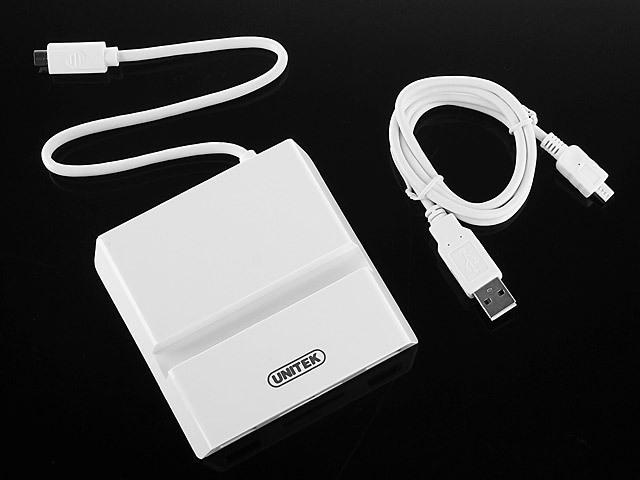 The UNITEK Y-2165B OTG Dock with SD Card Reader + Smartphone Stand allows you to connect 3 different USB devices and SD Card Reader to the OTG enabled Android devices. 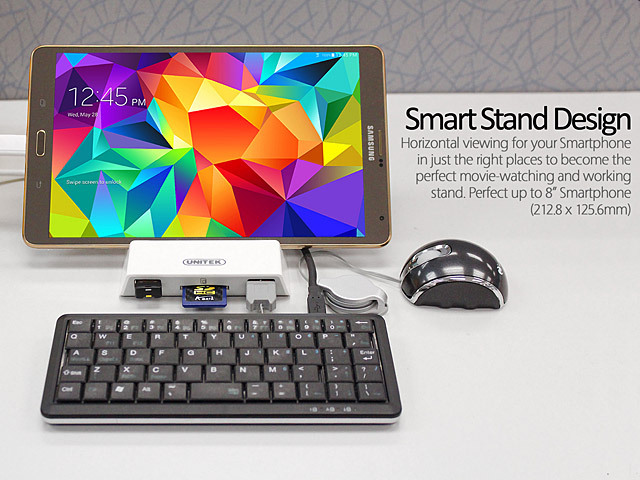 Built-in stand allows you to prop your device at a comfortable viewing angle. 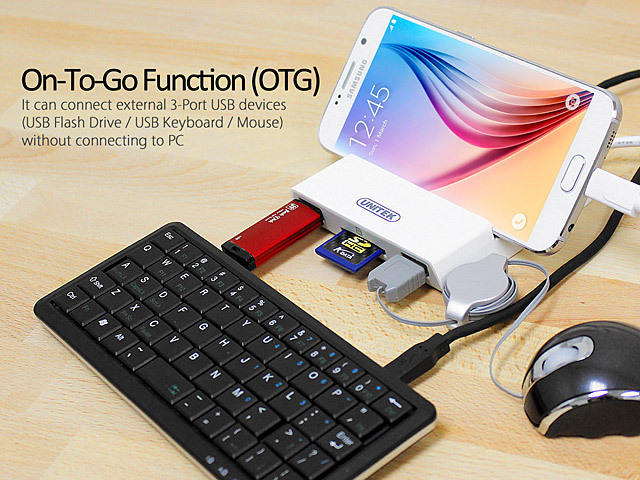 You could connect mouse and keyboard to your Android device.